I’m slowly working my way around Manchester’s full english offerings, so it was only fitting that would be my order du jour. And whilst alcohol in the AM may not appeal to all, if you can’t treat yourself at the weekend, when can you? Plus, it’s five o’clock somewhere right? 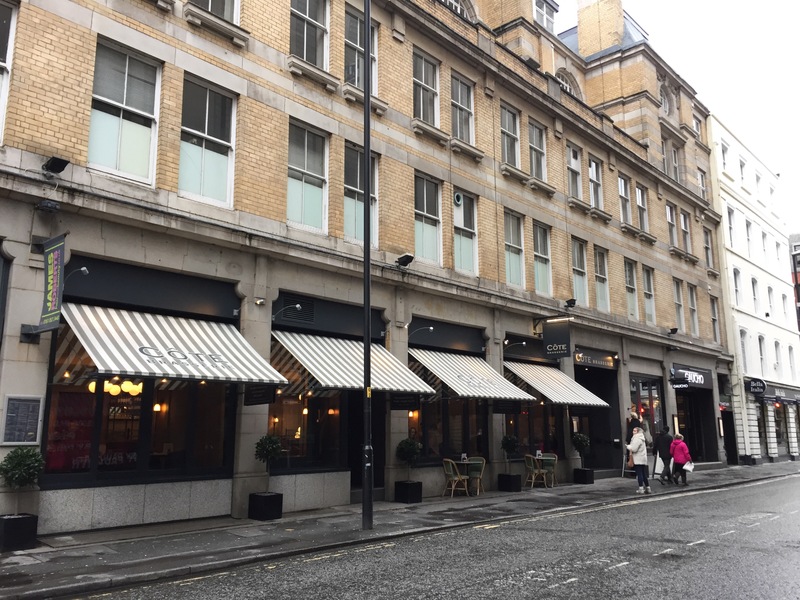 The restaurant itself is just off the the main Deansgate road, right by House of Fraser. Donned with French striped roof coverings and gold brass, it screams class and it only continues with its blogger friendly marble tables (seriously I need me some of those). 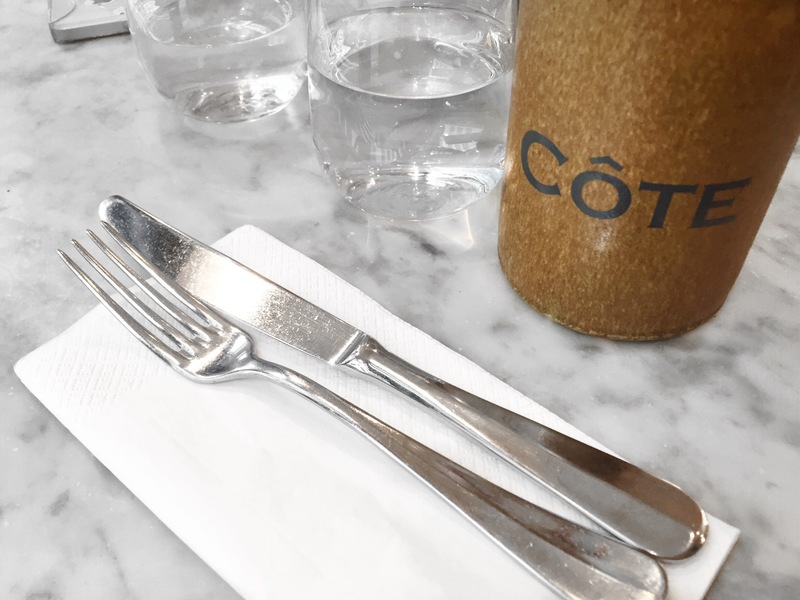 The menu has just the right amount of choice to get you in weekend mode of umming and ahhing over what to choose but not too much to send you into a food frenzy. It was a close call between my favourites of a fry up or Eggs Benedict but with an early start comes a need to feed - so full english it was. Service was speedy and before we knew it, out came the main event - helped by catching up with Laura and Rebecca - which to me is the main perk of being in this community, getting to know new people and making friends from it. It also means there’s zero judgement when you’re being that person taking photos from crazy angles of your food. 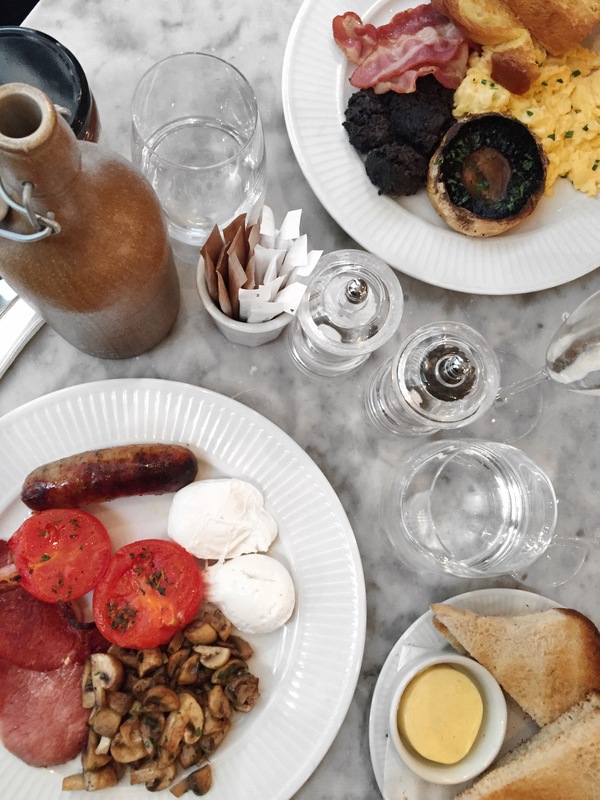 With Cote’s full english you get both sausage and bacon, along with eggs, a tomato, mushrooms and a side of toast. The food was the perfect portion for a morning meal but the big test, as with most full english breakfasts I try are the eggs. A bad poached egg can make or break the dish for me and I can happily report they were perfect. I don’t know why I’m like this with eggs, I just am, but they get the 5 star rating from me. To wash it all down we were treated to a glass of champagne which unsurprisingly was lovely and light and tasted dangerously not like alcohol at all and made the brunch extra special. 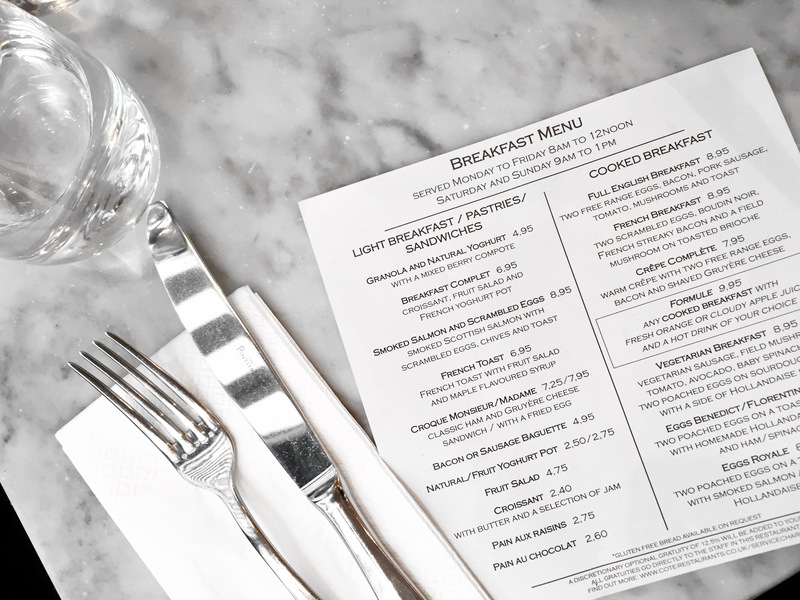 For £10 for a full english, it’s on par with most eateries in town but excels in its service and chic setting hidden away from the hustle and bustle of the city. 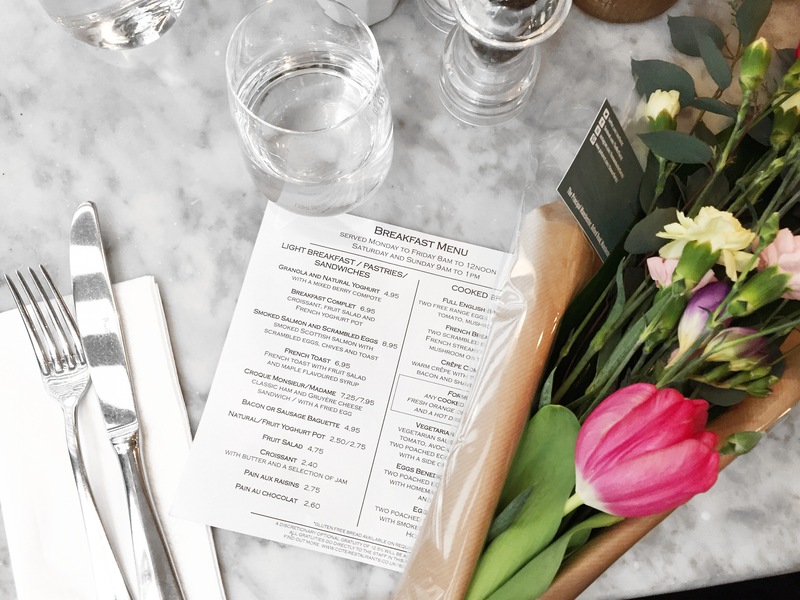 And the option of a champagne brunch is always a winner in my eyes, making it the perfect stop off for birthdays, anniversaries and special occasions. 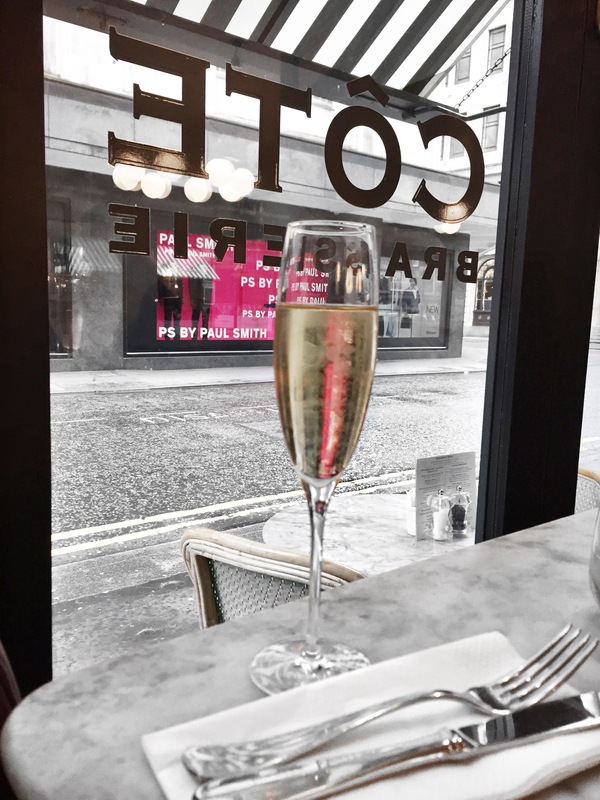 Cote will be offering a champagne brunch for Mother’s Day for just £15.95. Sadly I won’t be in the city for the big day but if you’re close to a Cote - go check it out. We visited the branch at 4-12 Mary's Street, Manchester, M3 2LB.